KIMBA COLLECTIBLES are at the White Lion Shop! All are genuine, most are vintage and one-of-a-kind! There's also Kimba cels, artwork, manga, and much more! Kimba was born of wild parents but he also lived with people for some time while he was a cub. When he returned to the wild, he had a dream of uniting people and animals in peaceful co-existence. 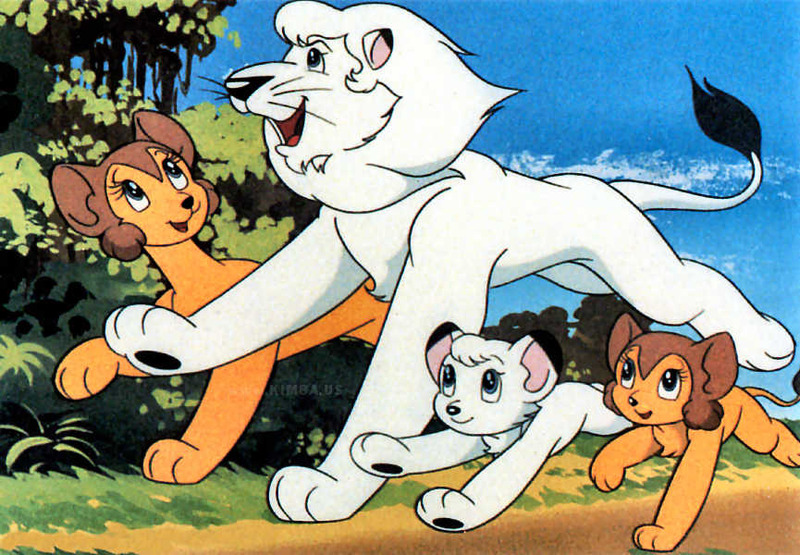 Kimba The White Lion is a wonderful, captivating series. When first shown in America, it was praised universally for its stories of love, compassion, and strength of character. For me, the most wonderful thing about it was its message of understanding for all life, for the need for unity between humans and animals. Kimba The White Lion has a heart and soul that has awakened and strengthened a love for animals in millions of people. This is a show that deserves to be seen by every person in the world. 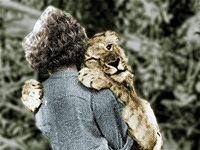 Take a look at the true story of Christian the lion. Sing along with the Kimba theme! 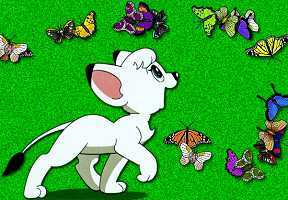 Click here for the original Kimba theme. Click here for the 1993 Kimba theme. 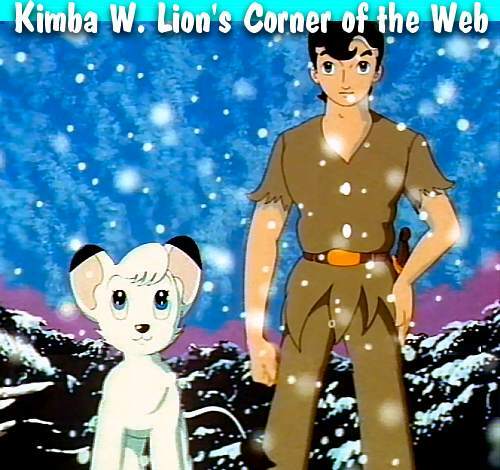 The ORIGINAL Kimba is available on DVD. subject to change whenever the mood hits me. This one is from the "Leo the Lion" series. Click on the little picture to get the full picture. for some background info and pictures. A music box full of songs. Video files, old and new. Click here for All kinds of Kimba stuff you can buy! 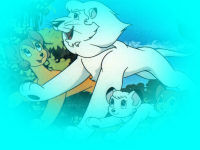 Kimba (and the sequel, Leo The Lion) on DVD and VHS! If you don't see a menu frame to the left, click here. Are you stuck in another site's frames? Click here to clear them. Want to join the Kimba the White Lion WebRing? Click here. 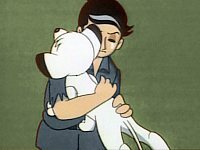 "Kimba", "Jungle Emperor", and associated characters and music copyright by Tezuka Productions, Mushi Productions, Titan Productions, and/or Isao Tomita. Original graphics and text on this site copyright by Craig Andersen. This page first appeared in 1999. Updated August 28, 2012.